Ogawa active is the latest technology in alternating the massage on to different areas according to the modes and along with the proprietary body scan technology get exclusive massage on the S shape of the spine. This chair features one of the best automatic modes in the massage chair category. The Ogawa active supertrac massage chair provides the best and most features in the automatic modes. As much as the price goes, this chair will make you sit on it and switch a mode on and just lay back and relax yourselves. The active feature does not let the user get bored during the massage session which often happens with people when they opt for the low intensity or mild modes. The chair has 56 air cells which cover all the acupuncture points and along with the scanner provide a flexible and accurate massage for people of all body shapes and sizes. The S track scanner focuses on the spine to trace out the massaging points of the spine and the comprehensive roller track provides a soothing massage to the spine which is very rare because of the spine being too sensitive. A more interactive massage to the cervical point of the spine which is helpful for many medical problems and prevent the chronical disorders related to the cervix. The massager chair has modes which provide alternate massages such as first in the upright position to neck and shoulders and then in full recline position to the back and legs. The combination of heat and vibration synced with the music player give a user friendly environment to the user during the massage. The smart phone pocket is exclusively protected from the heat of the upholstery. The control panel of the massage chair is very easy and the remote has almost every button clearly stated with its functioning. No multi functioned buttons are put in the remote control to avoid any hectic feedbacks. The Ogawa active massage chair has the feature which involves two different chairs to complete the satisfaction simultaneously for a user. Both the traditional massage techniques and smart massage features give relaxation with a medically acclaimed help to the spine. The only major con is that the chair does not come with much manual selection of massaging modes to choose. As it does all the work in the active modes with automatic scanning, the lag fills up with the feature instead. The chair is really heavy and bulky to put in a small or medium room as it takes up a lot of space. The sellers provide free curb side shipping but most of the people who ordered the chair with free shipping had to call service again to get the chair inside and assembled. The special focus on the supertrac technology left behind the basic feature of the heating and thus the heating may malfunction at times near the hip and the thigh area. 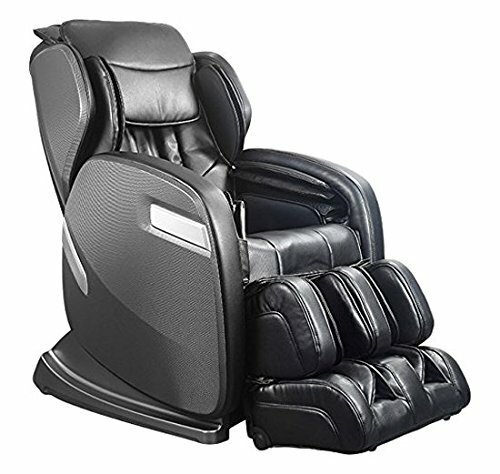 Even thought the chair is fully automatic and makes the user to become lay enough to just switch the massage chair on and relax during the massage session, many people prefer the one with a lot of manual selections to customise. The chair does not have a memory of the manual selections either. Thus this chair is best for the ones who just want to get a great massage without getting involved into the technicalities.